New for 2011, the RE 88 is the entry-level, handy cold water high pressure cleaner. Ergonomically-optimised design. 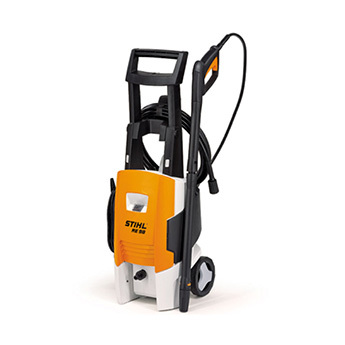 Includes hose and power cable brackets, rotary and fan jet nozzles, detergent spray set and an easy maintenance pump.